Special Enquiry Detail: Engaged to Kill is another release in the Special Enquiry Detail series. 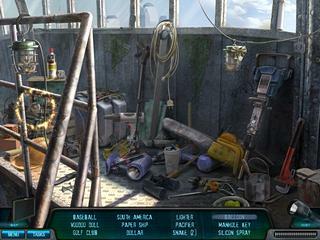 The game is all about the job of a detective, which is very common for all the hidden object games. This time around you are looking for a serial killer. It is definitely a great game gameplay-wise, but it has its flaws, so you might have to check the free version first. The game has six chapters wih some interesting turns in the story. The detectives Yurino and Lamonte are back again to solve another case. They have to find a guy who kills women after he pretends to be willing to get married to them. So you will have to check the crime scenes, interview key people and sort through the mass of clues and false leads. As to the presentation fo this detective story, it is quite good, but not very impressive. The graphics are quite detailed with the scenes that match the context. There is no voice over, so you have to read through the dicussions. I guess the content was a greater focus of the developers, rather than the wrapping. The game has six chapters wih some interesting turns in the story. So do not expect to finish it really fast. 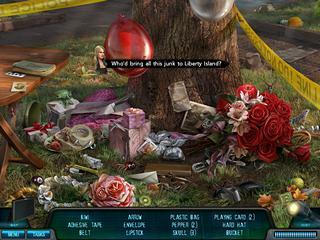 The hidden object games were a bit of a problem, for the items are VERY small, often half hidden by other objects and frequently are no more than a color-on-same-color silhouette. There were lots of puzzles, with a few of them being a bit confusing, which makes the game more challenging. You have to solve everything in the order that the game wants you to solve it. That seemed to kill the expectation of something unexpected. It is definitely a great game gameplay-wise, but it has its flaws, so you might have to check the free version first. This is Special Enquiry Detail: Engaged to Kill review. Download this game here.